My oldest daughter definitely got her sweet tooth from her mama. 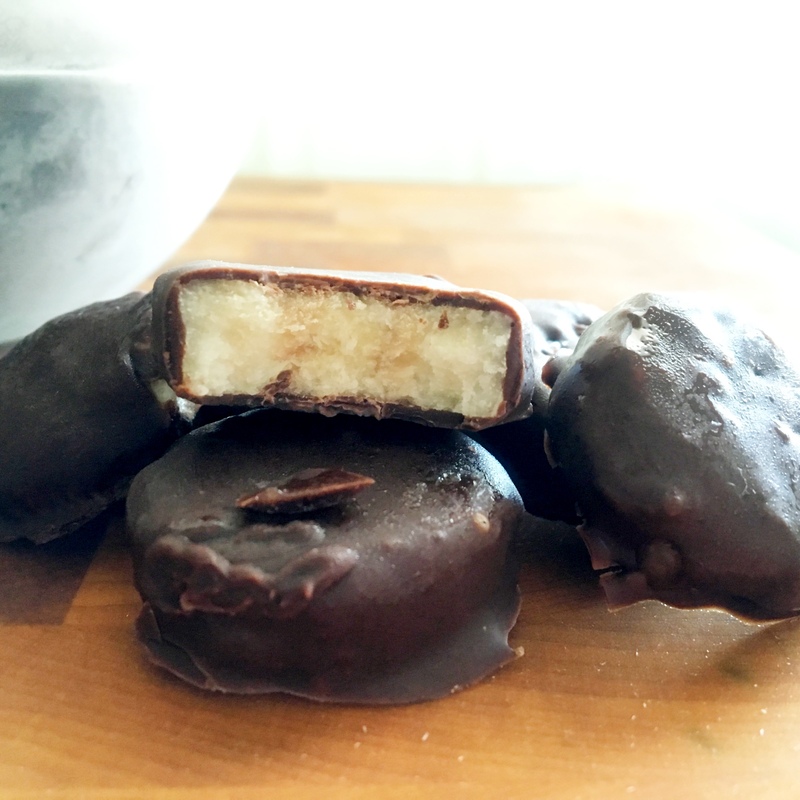 Emma asks for a small treat after most meals and since I’m always craving the same, I am constantly looking for healthy, fun bites we can both enjoy. 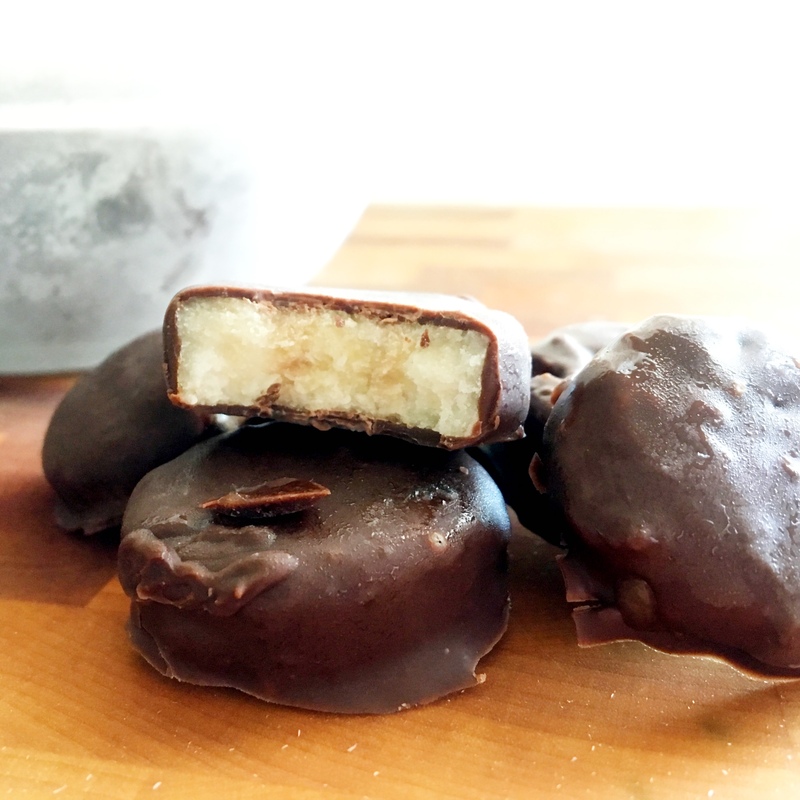 These frozen dark chocolate covered banana bites hit the spot and were super easy to make. 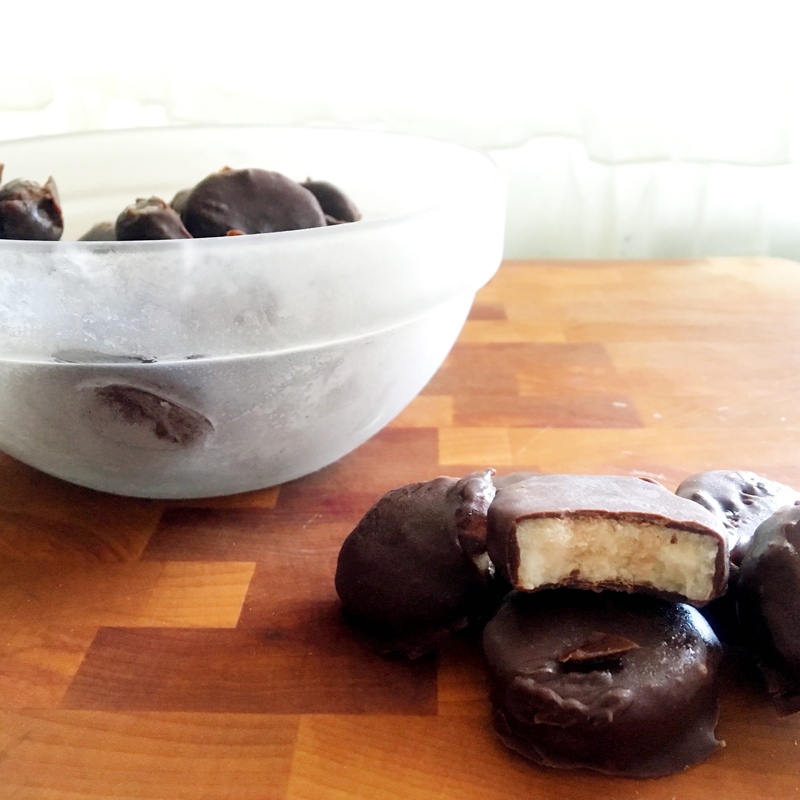 We stashed a bunch in the freezer so we will have something sweet to munch on all weekend long. Slice bananas into quarter-sized circles and lay out on a wax-paper-lined baking sheet. Place in the freezer and leave there until frozen solid. 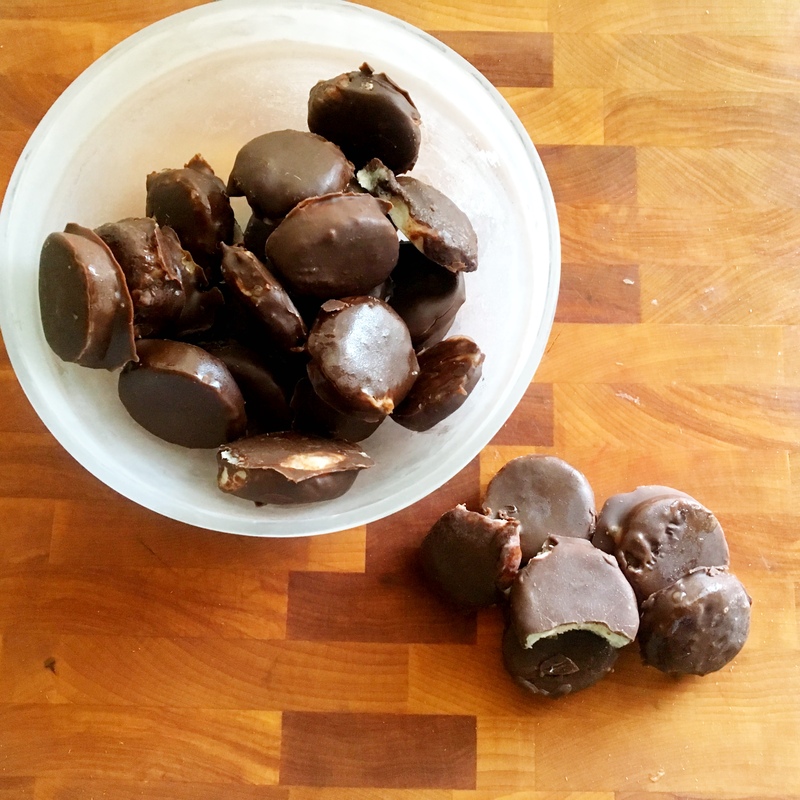 Mix the dark chocolate melting wafers and 2 tablespoons coconut oil in a double broiler over the stove. Stir constantly for about 5 minutes, until smooth. Using a fork, dip each frozen banana slice into the melted chocolate mixture and coat evenly. Place back onto the wax-paper-lined baking sheet and repeat with the remaining frozen banana slices. Once complete, place the baking sheet back into the freezer to harden. Because apparently today is National Margarita Day and all. 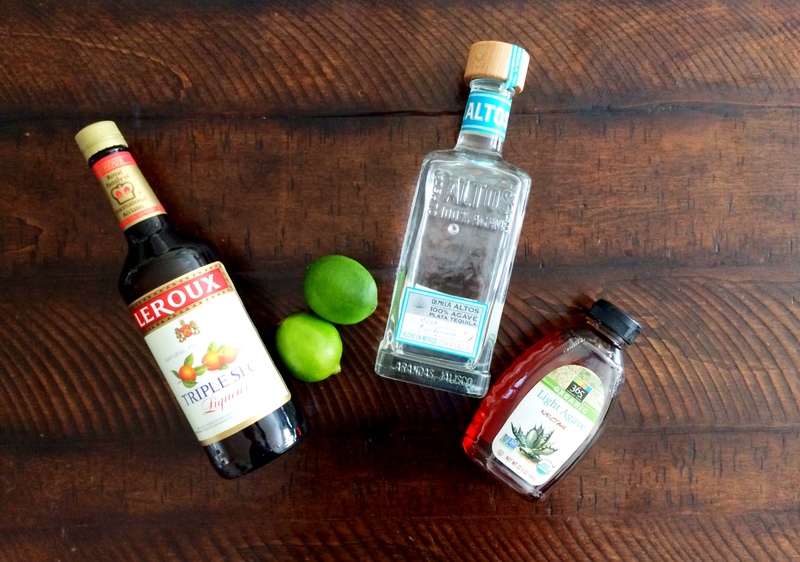 And really, do you need an excuse to make the ultimate margarita? Didn’t think so. This is my absolute favorite cocktail and brings me immediately to summer, sunny days, warm temps and the beach…in my mind anyway. 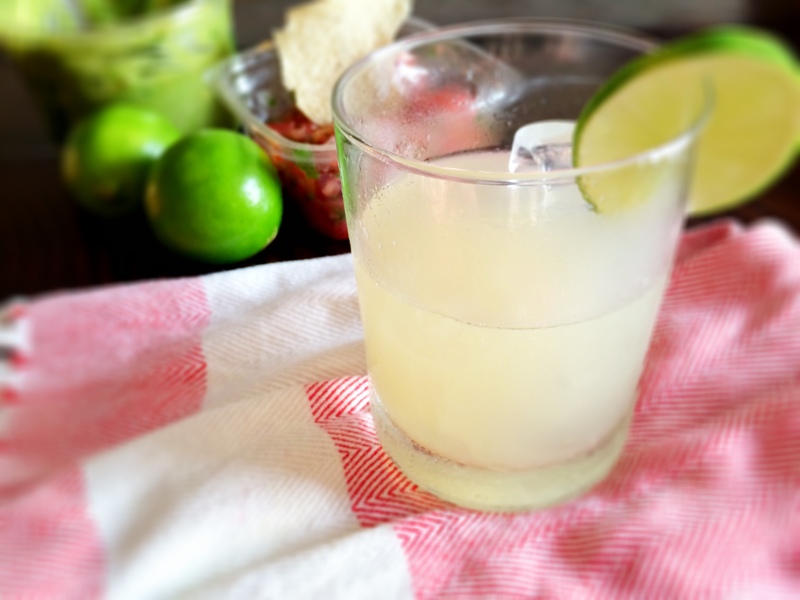 This is the best margarita recipe ever!…according to me. But I am a huge fan of the cocktail after all, and have been trying them out at each new restaurant and bar since as long as I’ve had my i.d., so that counts for something, right? I always take mine on the rocks and without salt. I’ve never really liked how the two mixed. And though a little salt usually pairs well with most other foods and drinks that I like, especially in the case of butter and caramels, here, it seems to interfere with the main event. 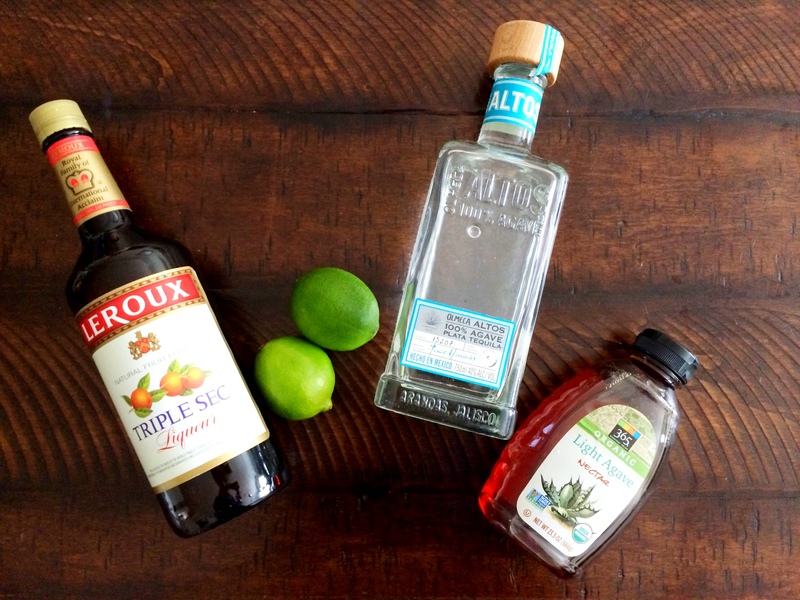 The tequila is key in making a great tasting margarita and so is the quality of the limes, since so much of the fresh juice is used to create each glass. 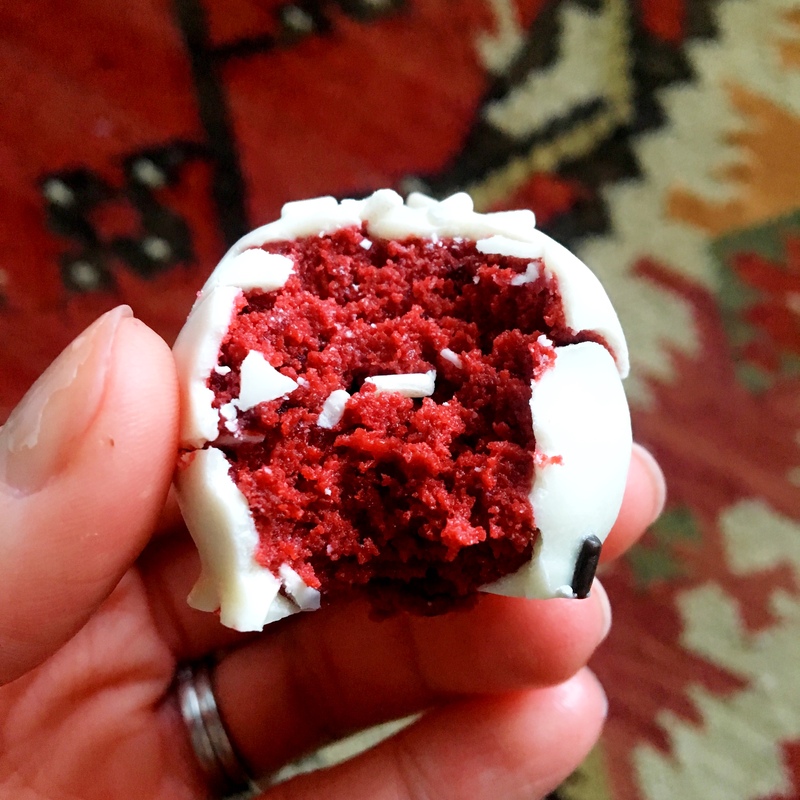 If you can make a cake straight out of the box, with pre-made mix and a couple of ingredients that probably already exist in your fridge and cabinets, then you can make these pops. They are that simple. 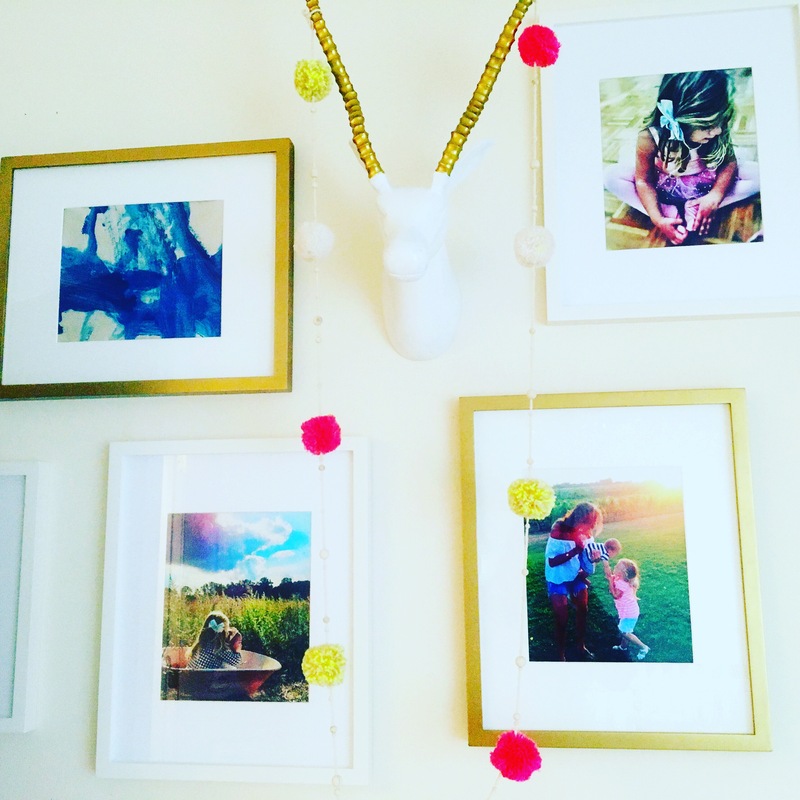 This semi-homemade recipe was so easy to make and they came out amazing. 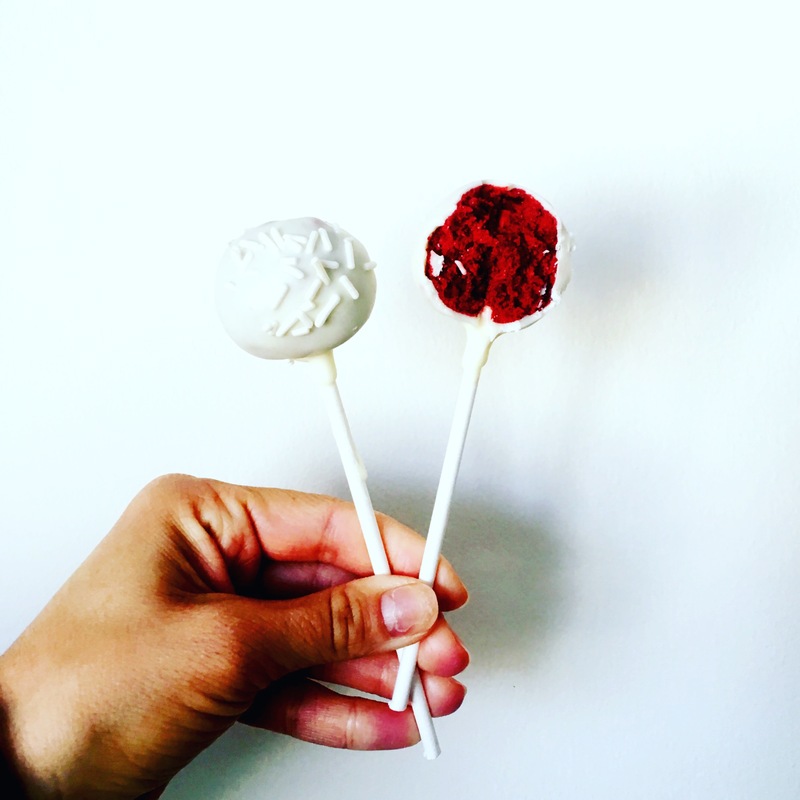 And if you skip the sticks, these pops can turn into bite-sized white chocolate-covered red velvet cake truffles. Adding icing to the cooked cake ensures that these won’t dry out and keeps the cake extra moist. The white chocolate outer layer kicks up the sweetness factor and the sprinkles make things extra pretty. Preheat oven to 350°F. Grease and flour two 8-inch round cake pans. Combine cake mix, water, oil and eggs in large bowl. Beat with electric mixer at medium speed for 2 minutes. Pour into prepared pans. Bake 26 minutes or until toothpick inserted in centers comes out clean of crumbs. Cool cakes on wire rack for 25 minutes. Remove cakes from pans and cool completely. Use your hands or a fork to crumble the cooked, cooled cakes in a large bowl. Add 1 container frosting and stir well. Form the mixture into balls and place on wax-paper-lined baking sheet. Place in fridge or freezer for at least 30 minutes. Melt the white chocolate wafers over the stove on low heat, stirring constantly. Insert the lollipop sticks into the firm balls of cake mixture and roll in the melted chocolate. Let the excess drip off before placing on the wax-paper-lined baking sheet. While the chocolate is still wet, toss sprinkles of your choice on top. Repeat with the rest of the balls/mixture. Refrigerate for at least 30 minutes before serving. 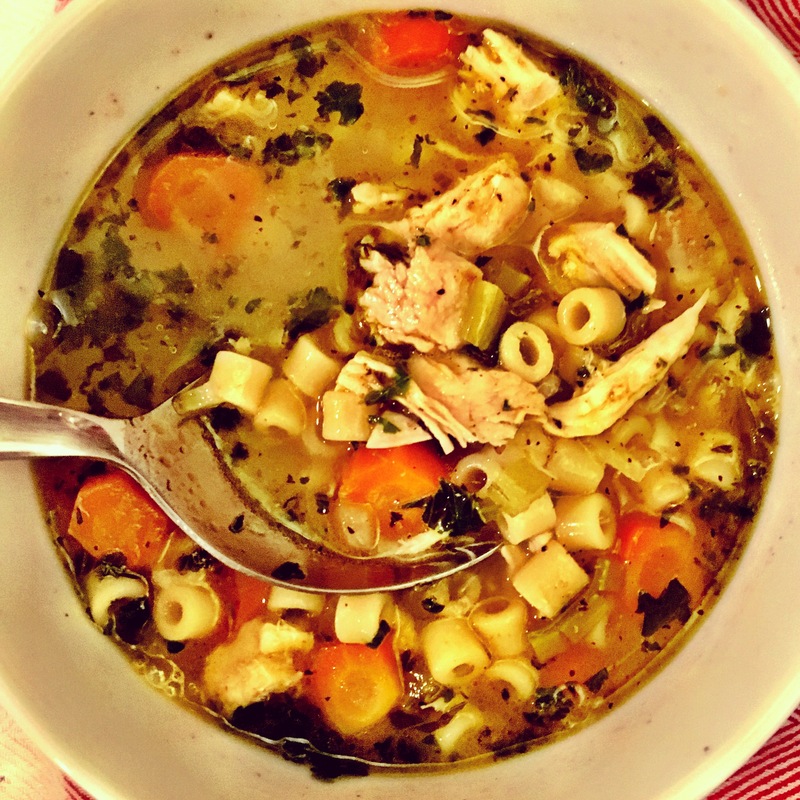 There is nothing quite like a big ole pot of homemade chicken noodle soup. It soothes the soul, warms a winter chill and apparently helps to fight off the flu. 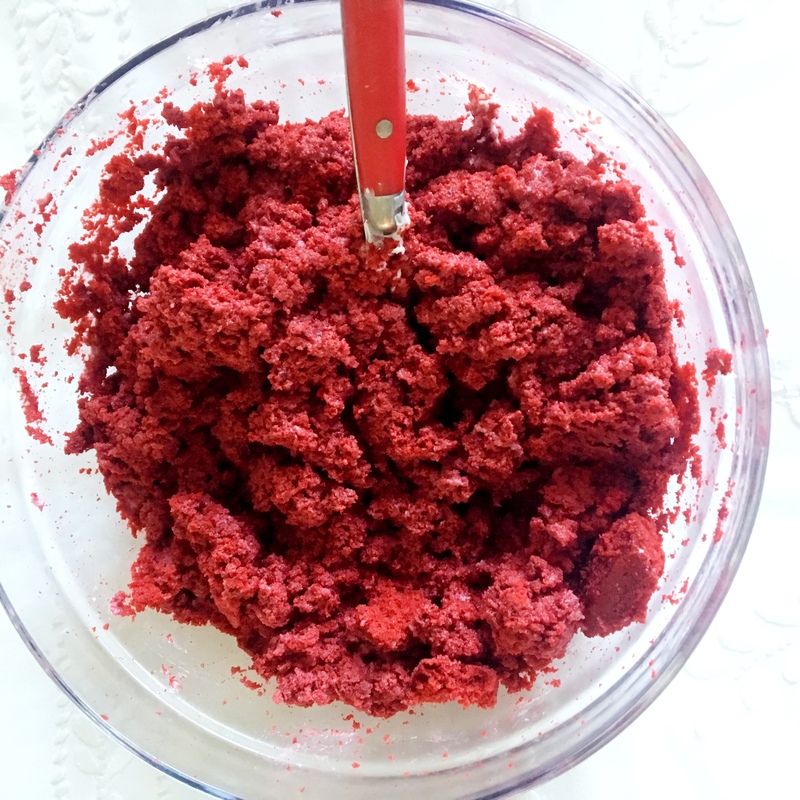 And this recipe that I found on the blog, Baker by Nature, produced my absolute favorite results so far. 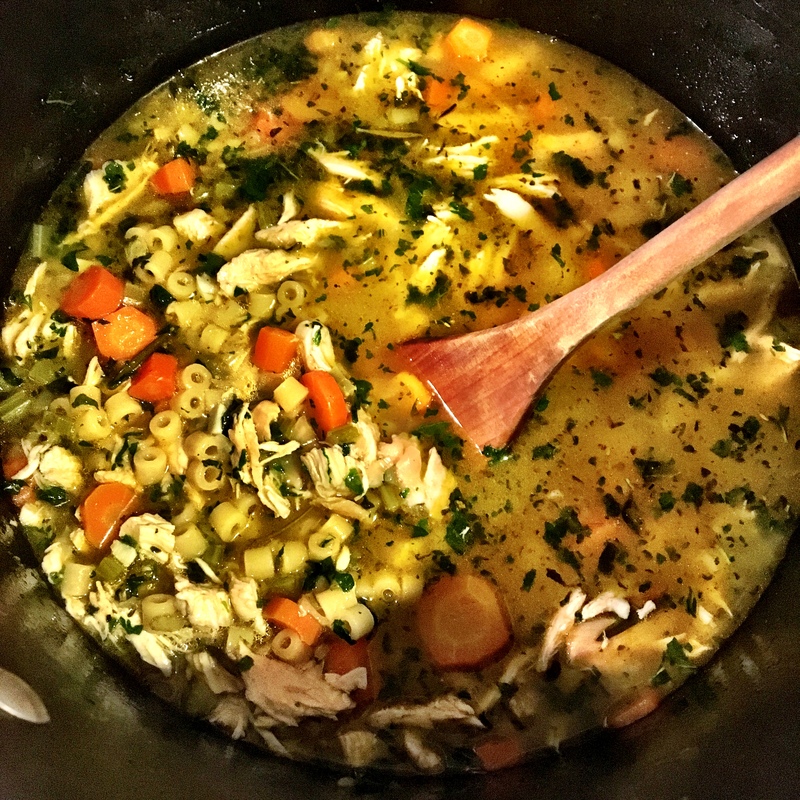 Since these measurements make six heaping bowls of soup, there was plenty leftover for no-fuss lunches during the week and another hearty dinner when I just didn’t feel like cooking. The author of the original recipe swears by roasting the chicken and I can see why. It was so flavorful and juicy that we plan on making it again by itself to pair with our favorite veggies and using it to fill our go-to fajitas. I tweaked this slightly to accommodate our family, who can do without garlic and dill. And I added chunks of avocado, because I typically add avocado to just about anything and everything I eat throughout the day. Serve immediately and with a generous hunk of pretzel bread and you might end up making this weekly. Preheat oven to 375 degrees (F). Place chicken tenders in a large baking dish lined with parchment paper. Drizzle with 2 tablespoons of oil and sprinkle with spices. Place in the oven and bake for 25 minutes, flipping the chicken at the half way point. Once cooked, pull into small chunks using two forks. 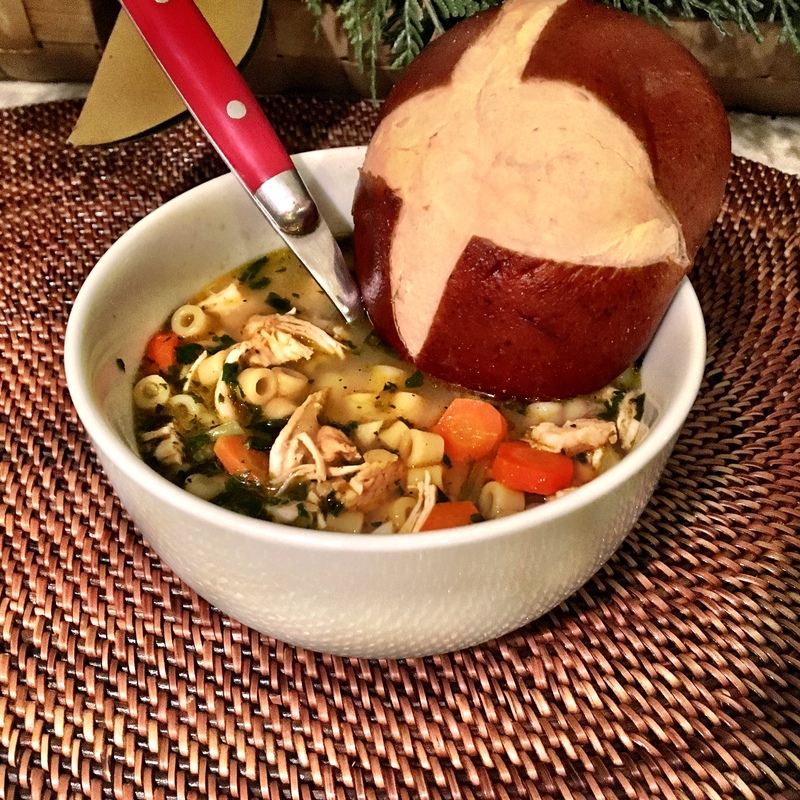 While the chicken is roasting, prepare the soup. Heat olive oil in a large, heavy bottomed soup pan over a medium flame. Add carrots, celery, and onion, and cook – stirring occasionally – for 8-9 minutes. Add garlic and salt and cook for another minute before adding the bay leaf, water and chicken stock. Increase heat to high, bring soup to a boil, then reduce heat to medium-low, stir in noodles, and simmer for 10 – 15 minutes, or until the vegetables are soft and the pasta al dente. Stir in cooked chicken, parley, and lemon juice. Taste soup to adjust seasonings, top with avocado, and serve at once.